We hope you have all received your PAT PAL invites… we are looking forward to sharing our learning with you. The focus this time will be on Literacy and we will be sharing some of the things we have been doing in class for example spelling activities, handwriting and some work on French. This entry was posted in Uncategorized on September 25, 2016 by Miss Dolan. 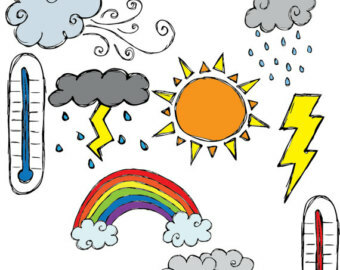 Our topic this session is Weather and we have been busy learning about weather words and their meanings as well as weather Instruments and what they are used for. We have been using some of these weather instruments to measure the weather. We are focusing on rain fall, wind direction and speed and temperature. This week is our Languages focus week and we will linking our knowledge of weather types and learning the french words for these – stay tuned for more updates. Hello and welcome to our P3/4 class blog. We will update this blog with information and examples of what we have been in learning in class. I have attached a copy of the class newsletter for term 1. This has lots of information and gives you an overview of what we will be covering this term. This entry was posted in Uncategorized on September 15, 2016 by Miss Dolan. This entry was posted in Uncategorized on September 7, 2016 by Rob Heasman.